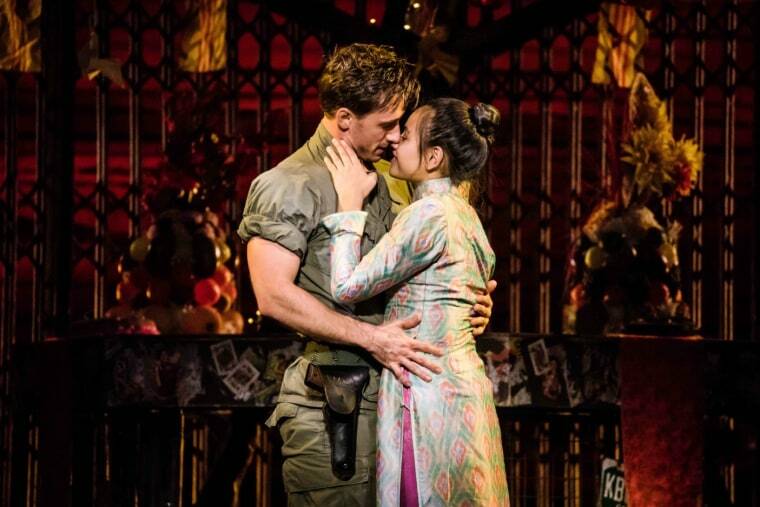 The musical has been criticized for its white-savior narrative, its portrayal of Asian women as sexual objects, and for dehumanizing Asian men. A Wisconsin arts center apologized Thursday for canceling a discussion panel about “Miss Saigon” hours before it was to take place. The panel, called “Asian American Perspectives on ‘Miss Saigon’: Stereotypes, History and Community," was called to discuss long-standing issues surrounding the musical. The center said it would reschedule the event. "Miss Saigon," about a young Vietnamese woman orphaned during the Vietnam War who has a child with an American soldier, has been a source of limited work for Asian-American performers, often allowing them to work on other projects. But it also has been criticized for its white-savior narrative, its portrayal of Asian women as sexual objects and as needing to be "saved," and the emasculation and dehumanization of Asian men. "We had said that education was really important in contextualizing the play so when people go to see it they have a sense of this history and they understand why Asian Americans have organized to protest it in the past," Lori Lopez, an associate professor of Asian-American studies at the University of Wisconsin-Madison who helped organize the panel, said by phone. The panelists and moderator scheduled to participate in the panel included professors from Asian-American studies programs at the University of Wisconsin-Madison and the University of Minnesota, a speaker from a local nonprofit, and an official from the Overture Center, where a touring version of "Miss Saigon" is scheduled to perform April 2 to 7. "We're scholars. We give talks all the time. This is the kind of conversation we're really used to hosting," Lopez said of the event cancellation. "We were upset because we had put so much work into it." Several panel organizers decided to host a “teach-in” about the musical outside the center Wednesday night. After the “teach-in” was announced, the Overture Center offered the speakers the use of a space, which the speakers declined. Holmes said in the statement that the center has reinvited the panelists for an event scheduled to take place on April 24, after the show’s run in Madison.